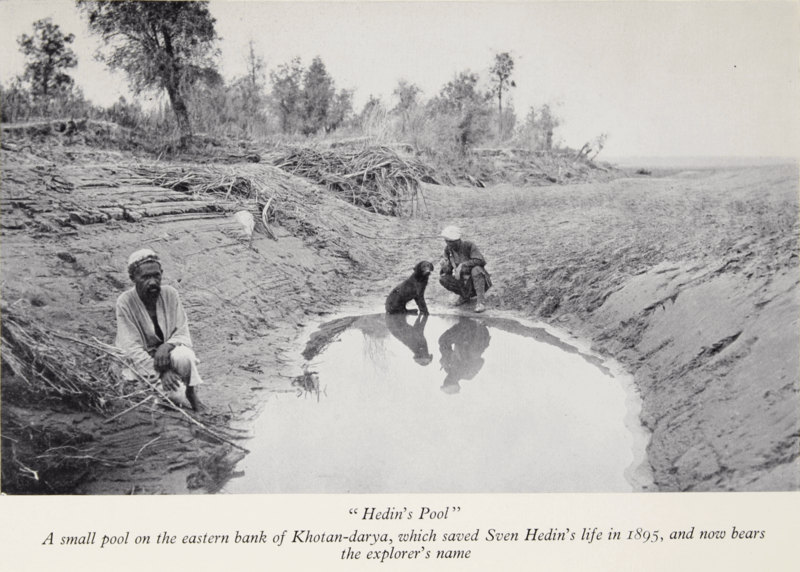 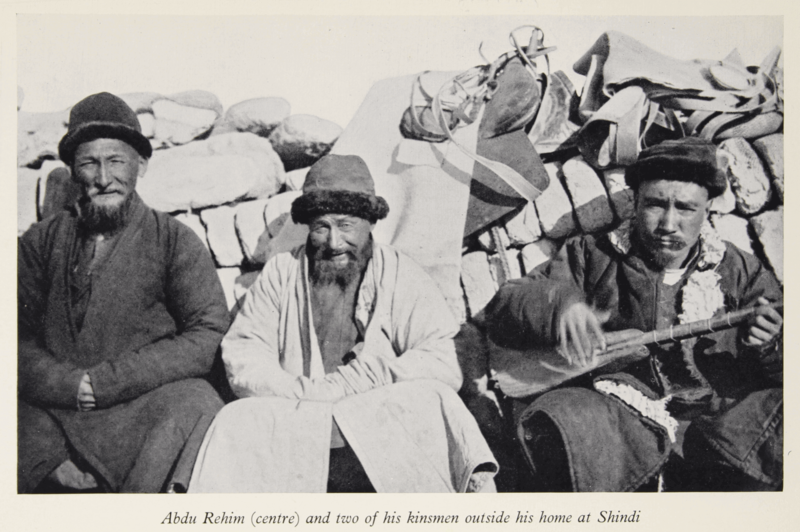 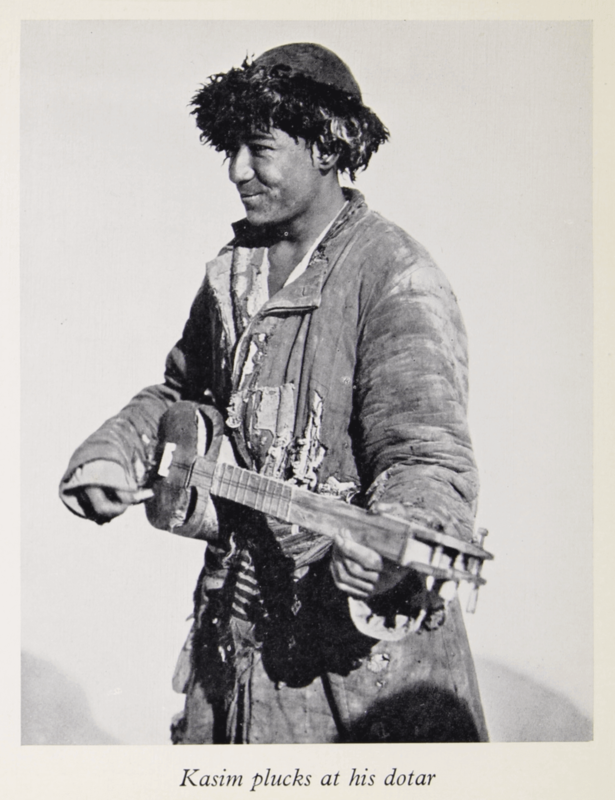 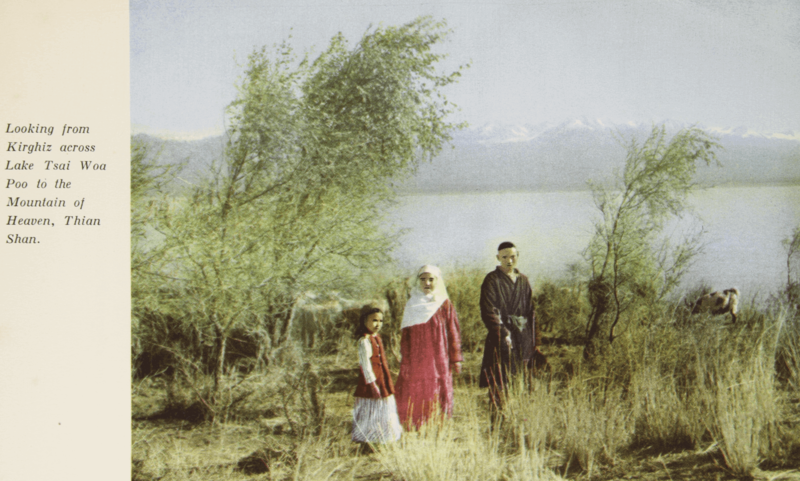 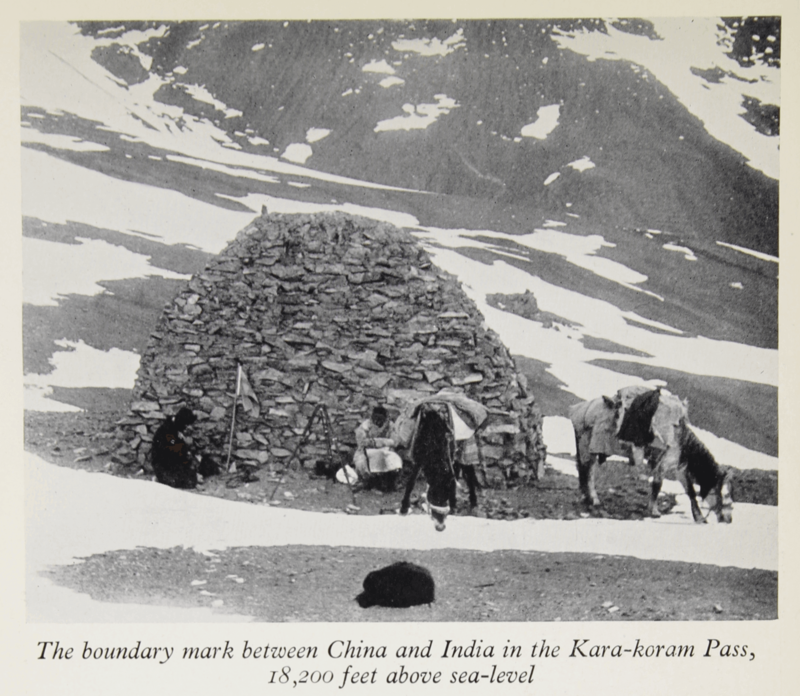 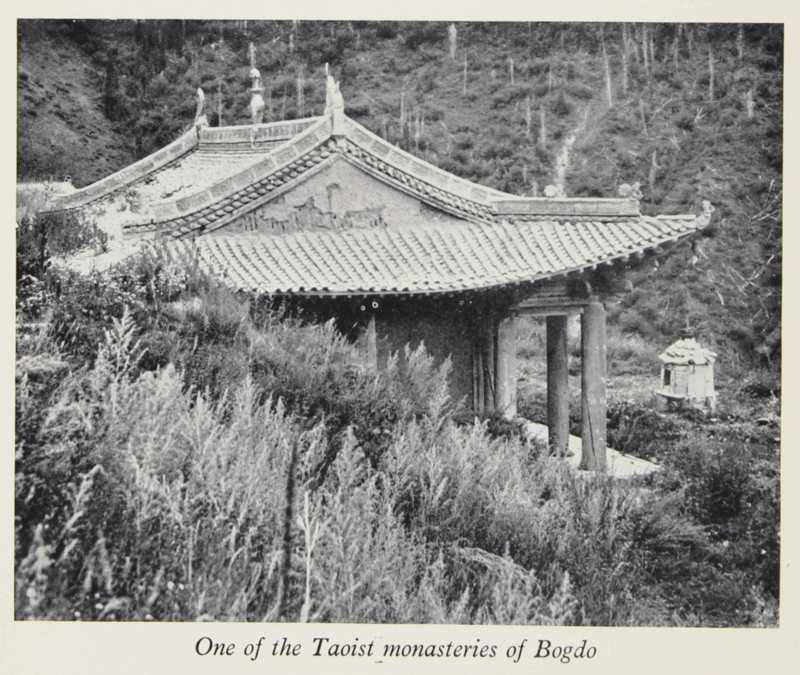 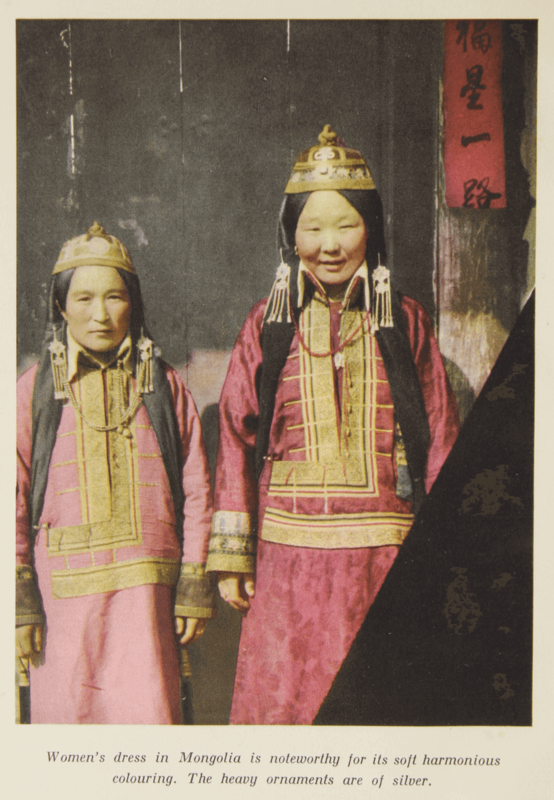 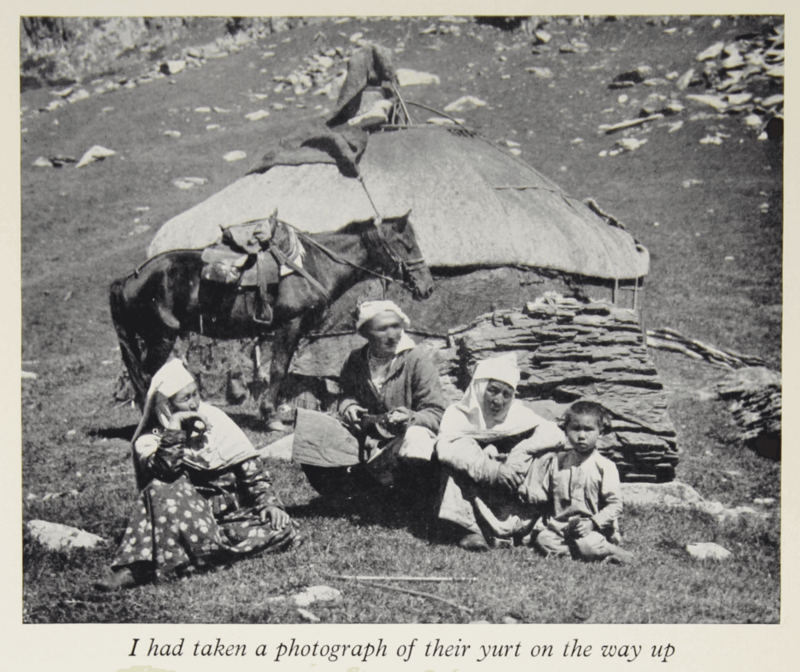 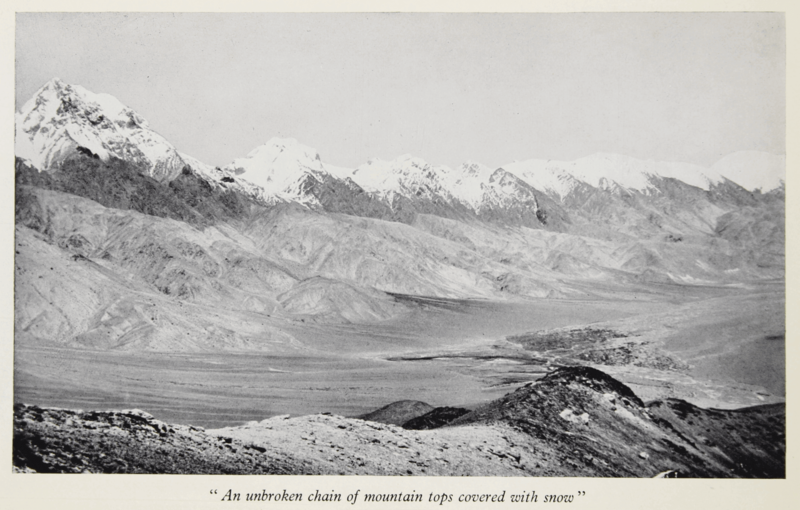 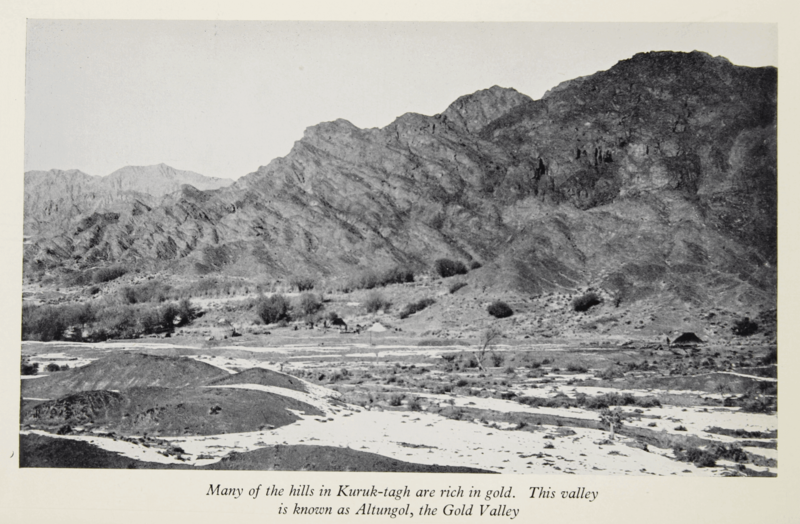 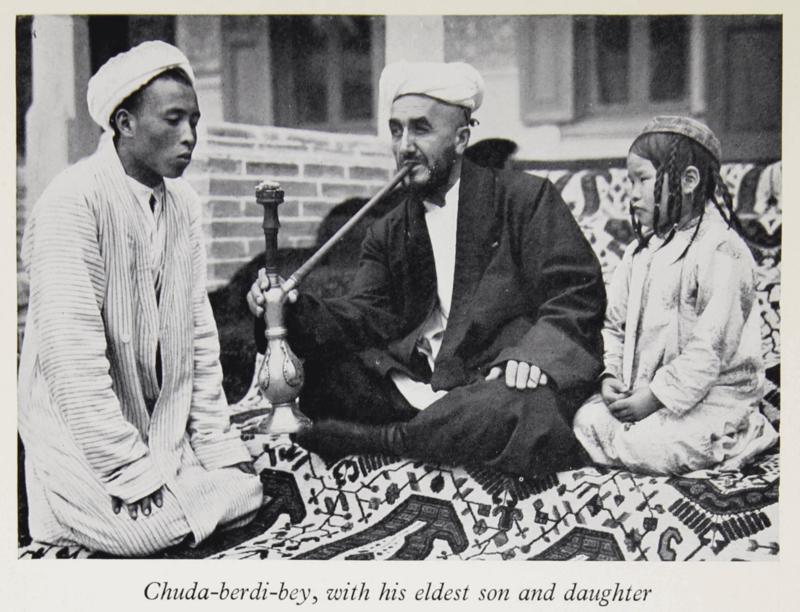 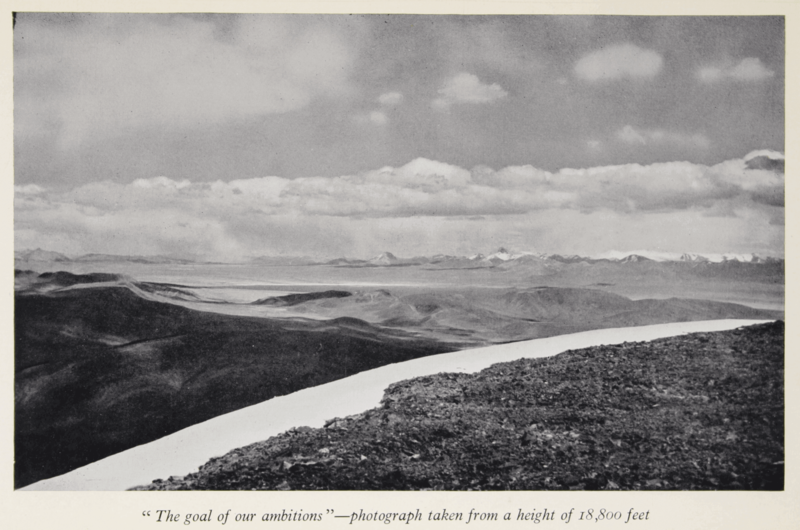 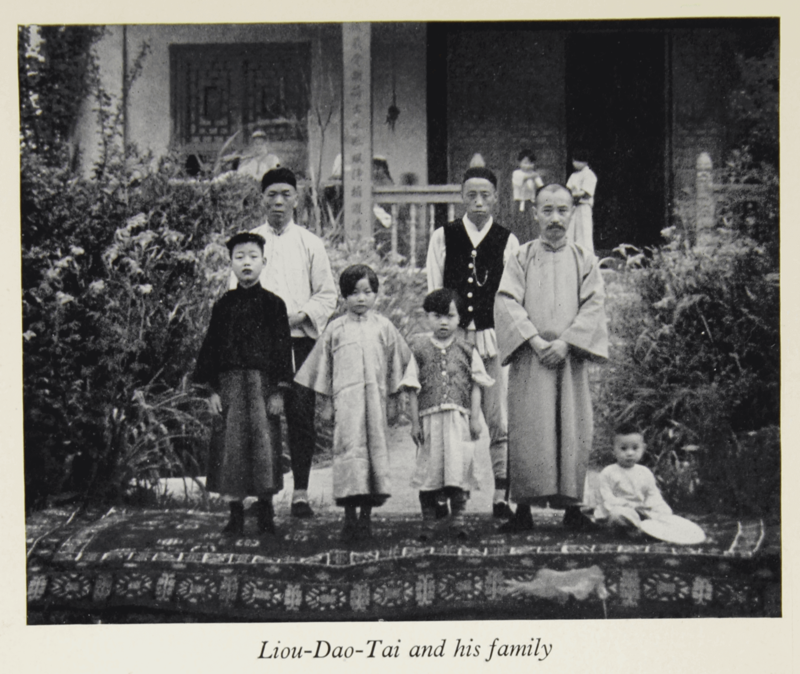 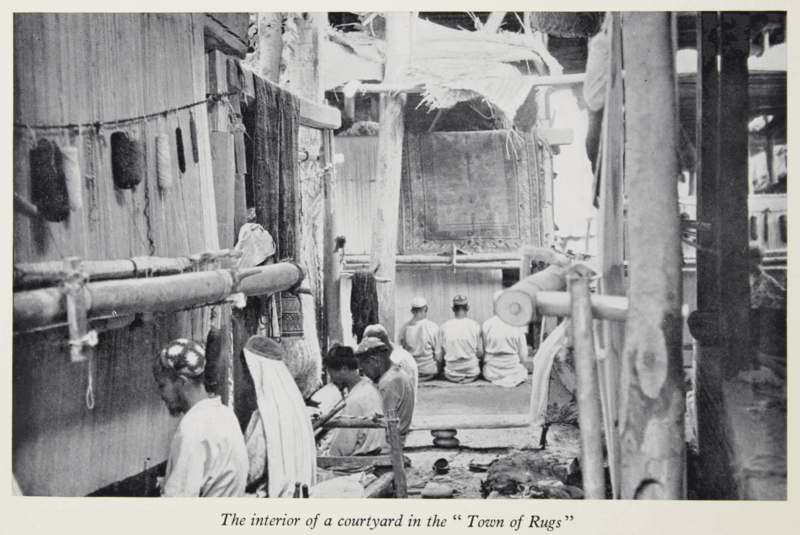 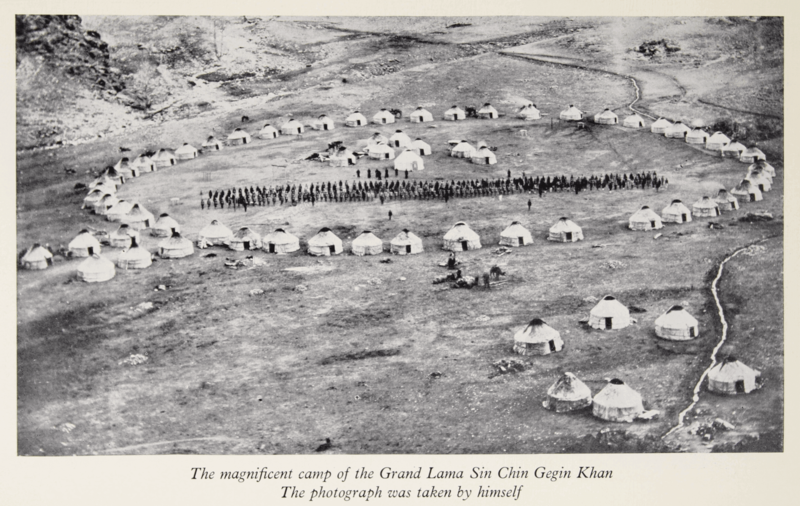 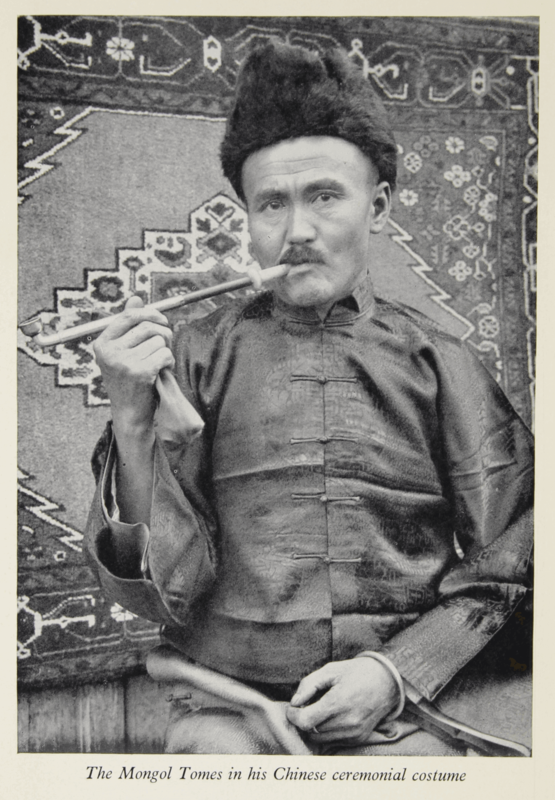 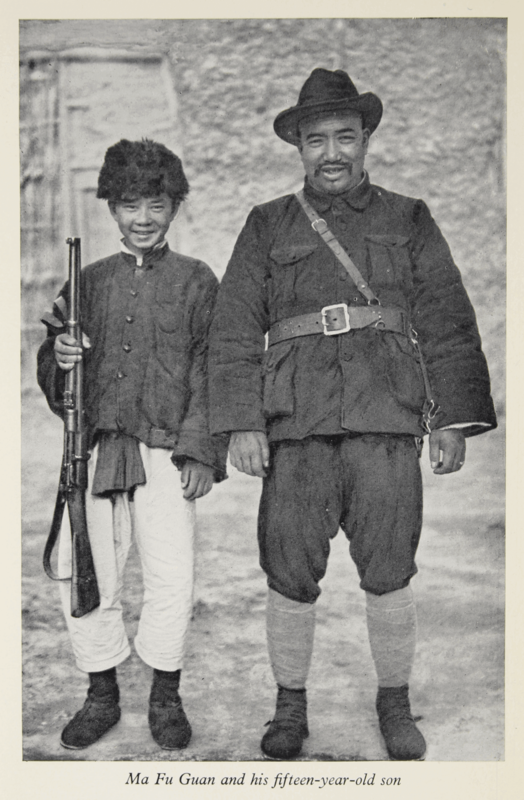 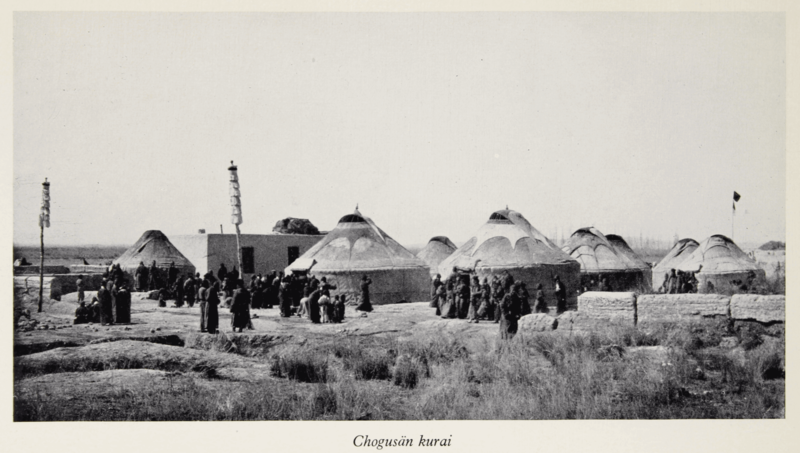 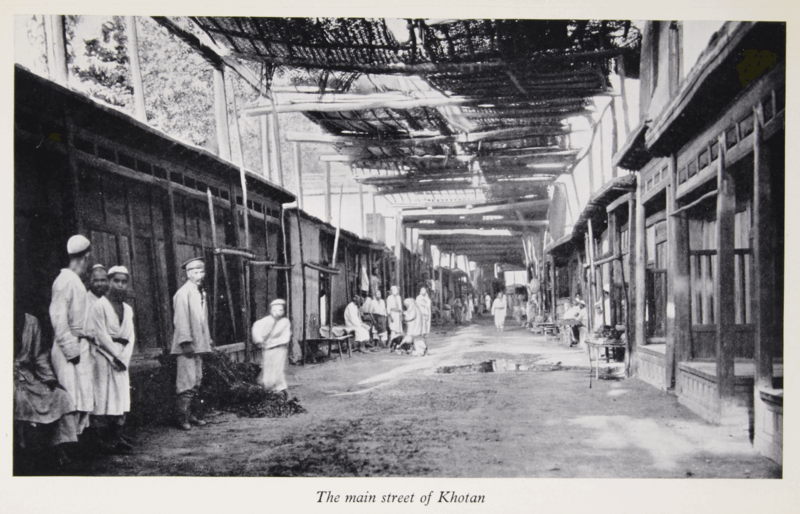 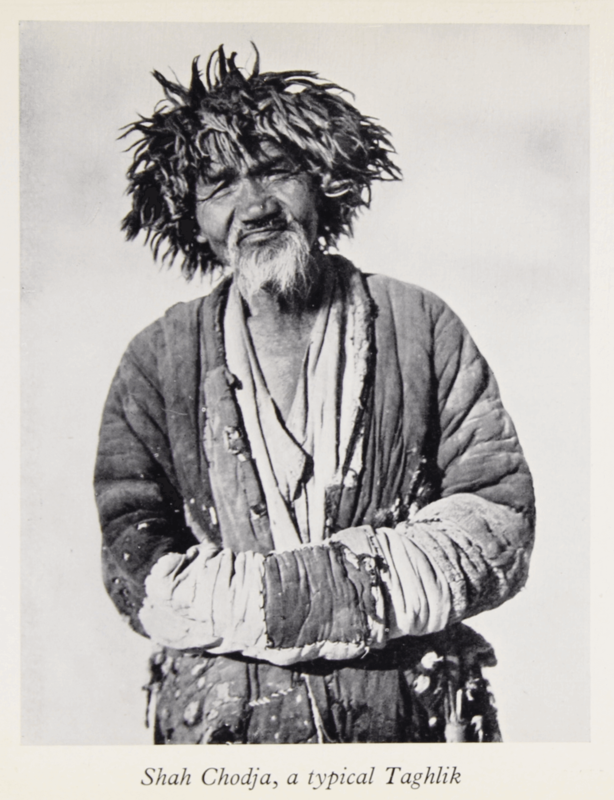 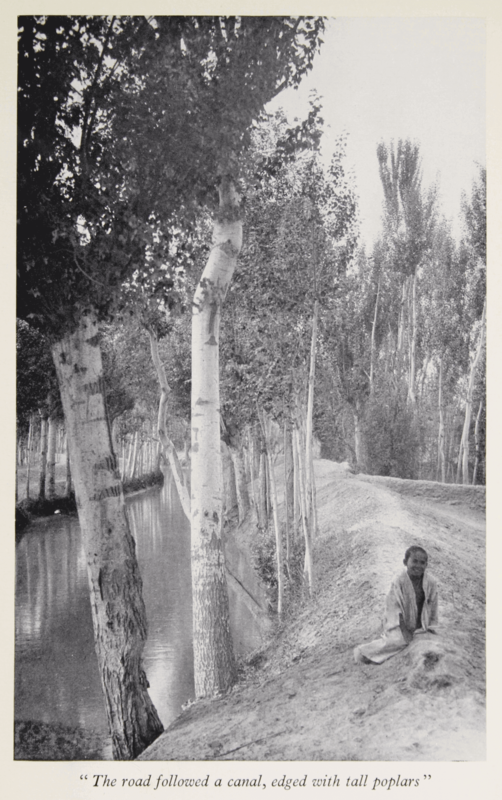 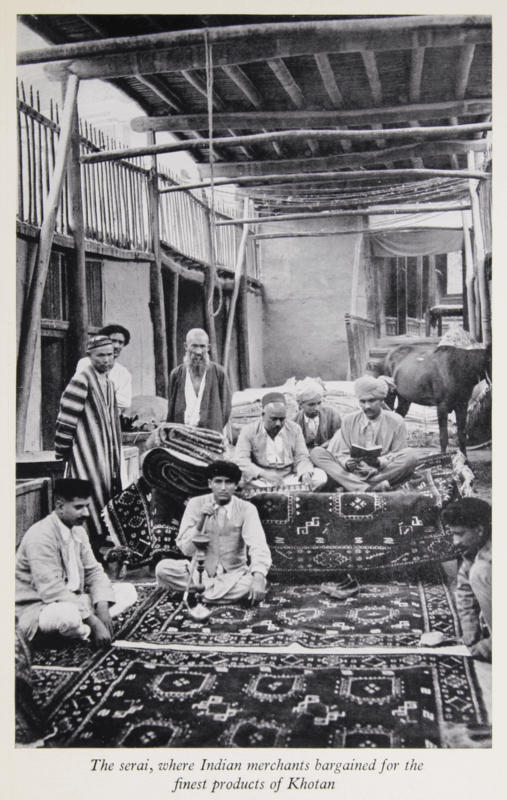 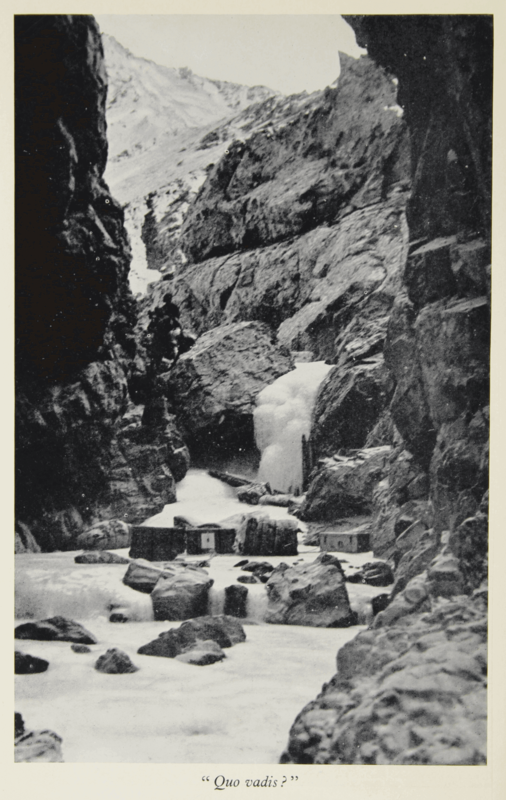 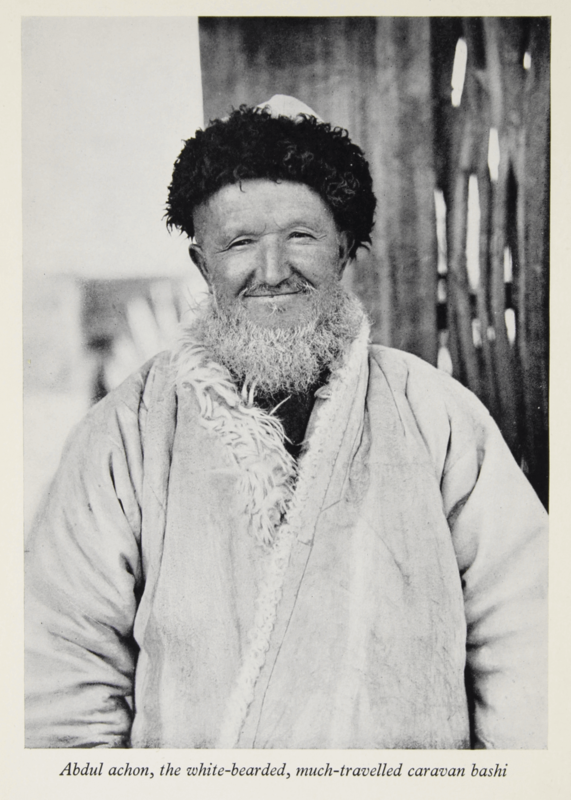 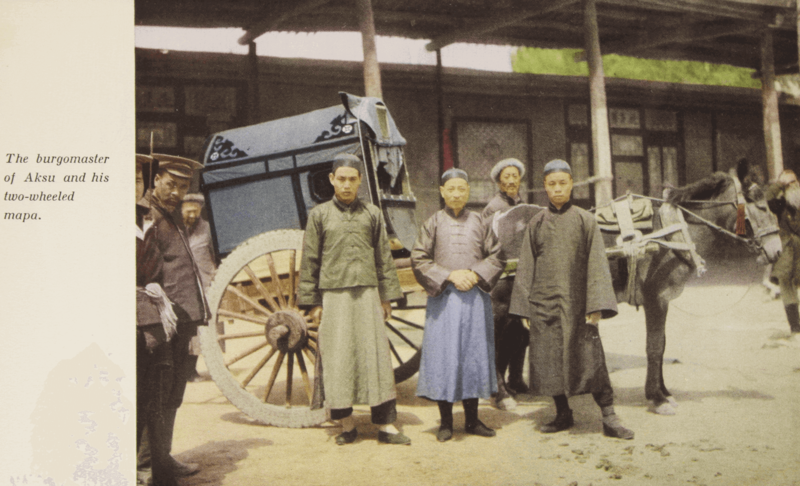 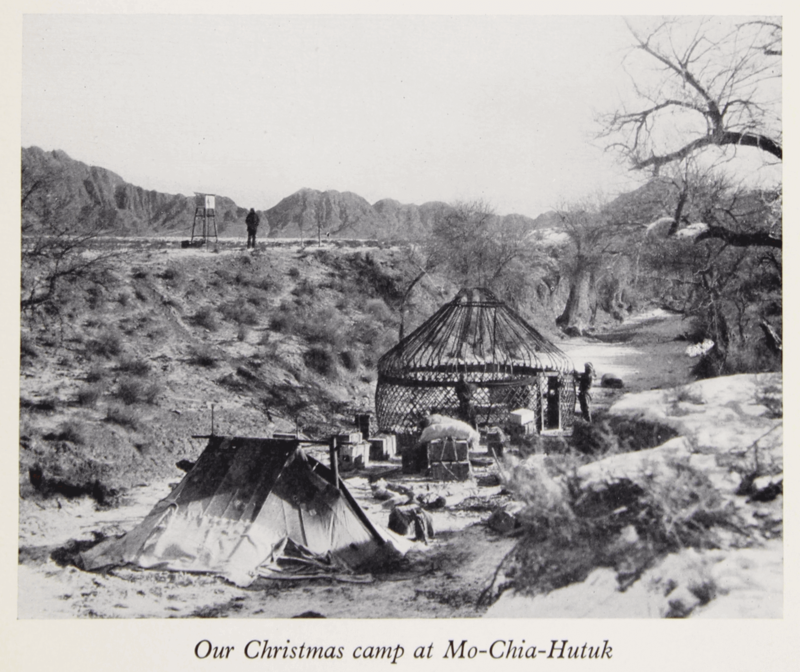 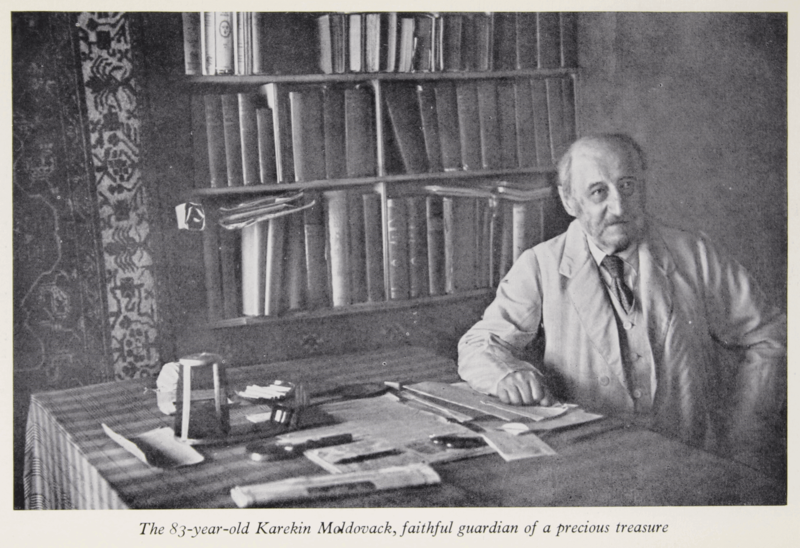 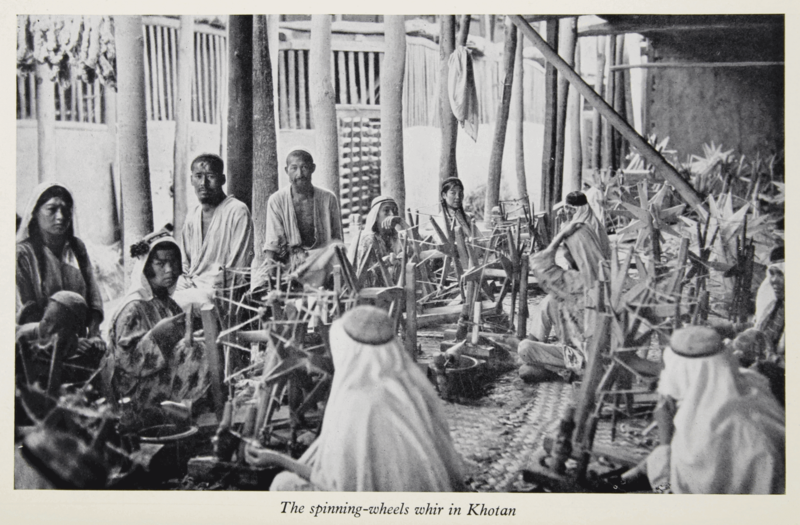 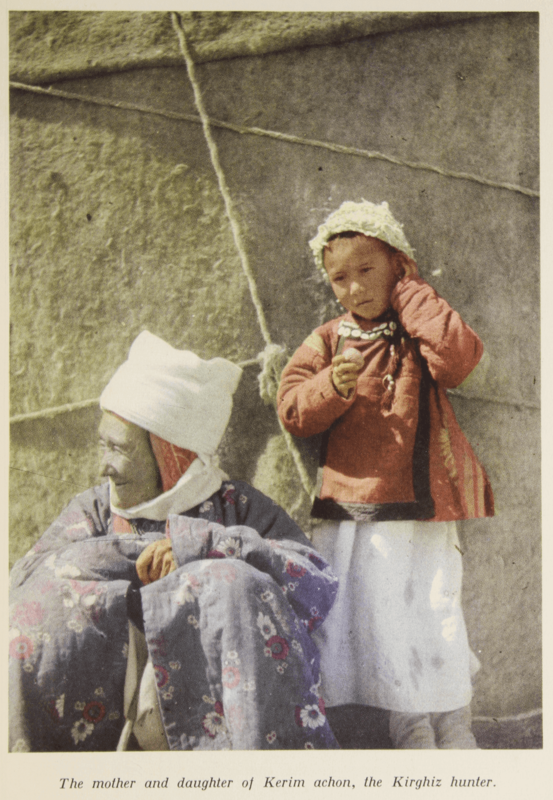 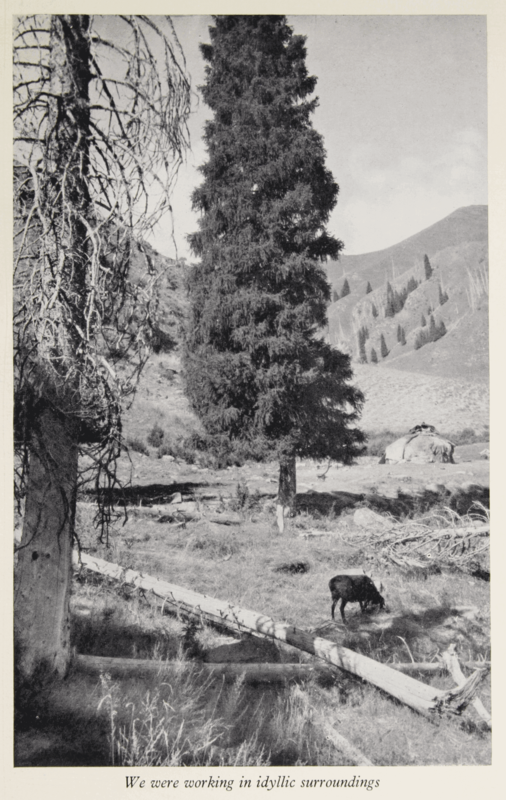 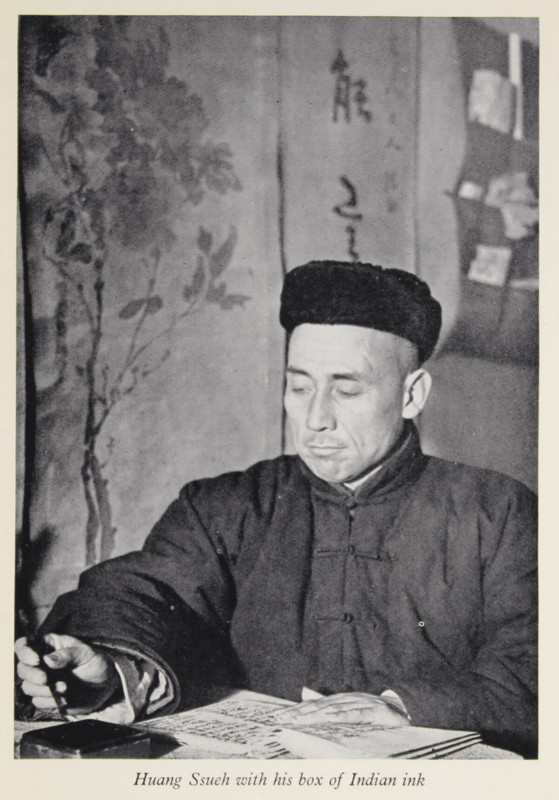 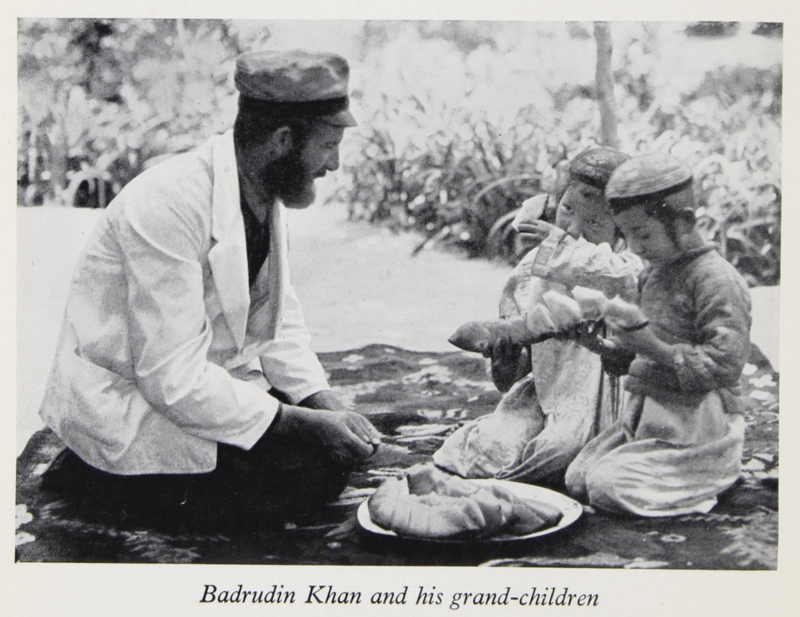 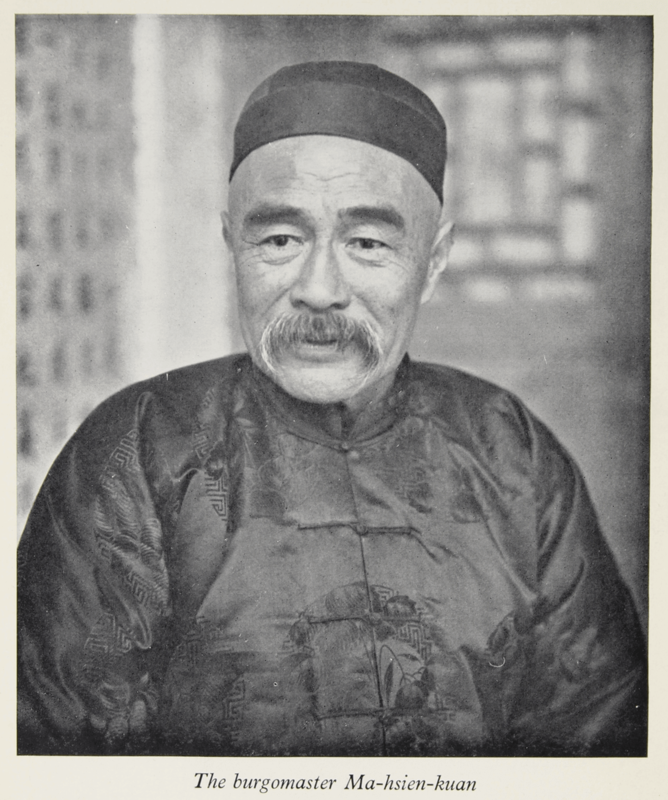 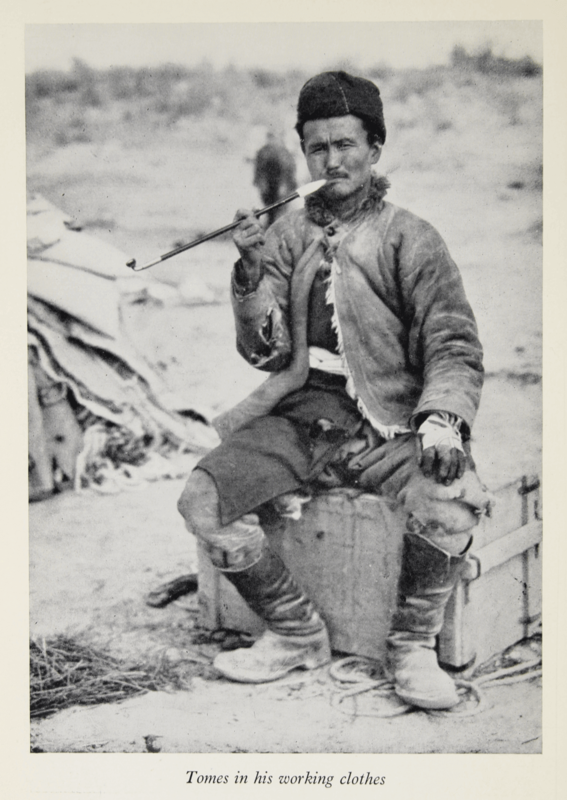 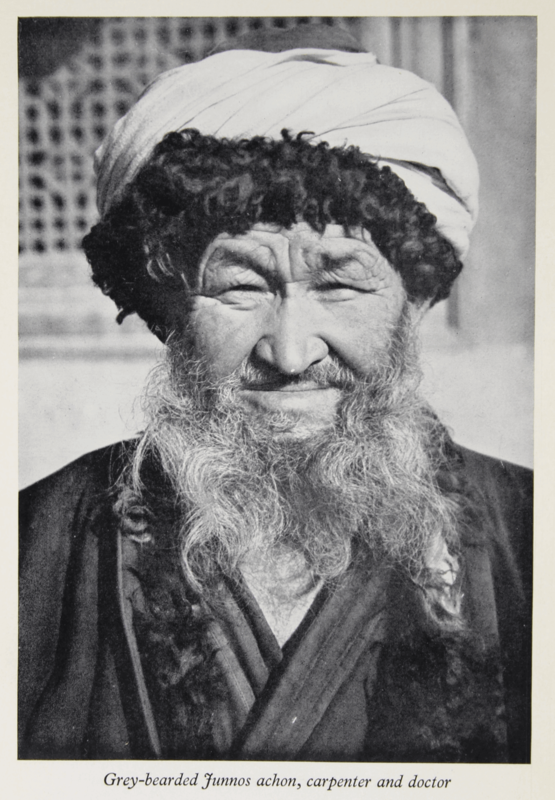 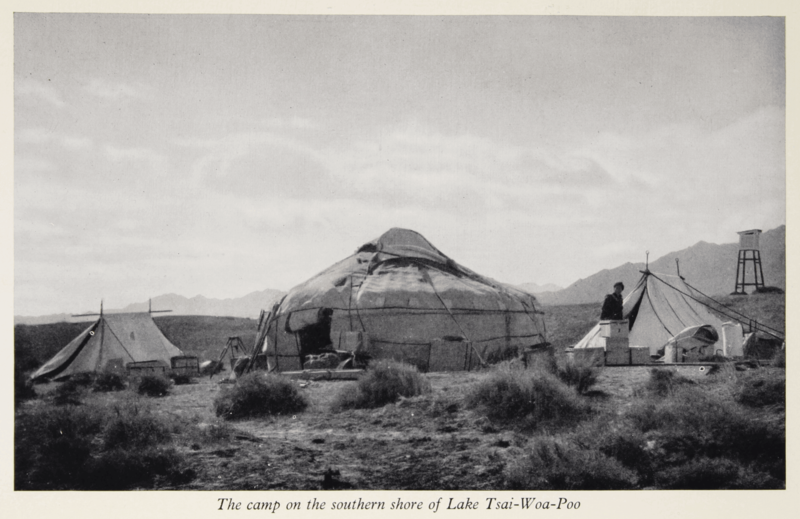 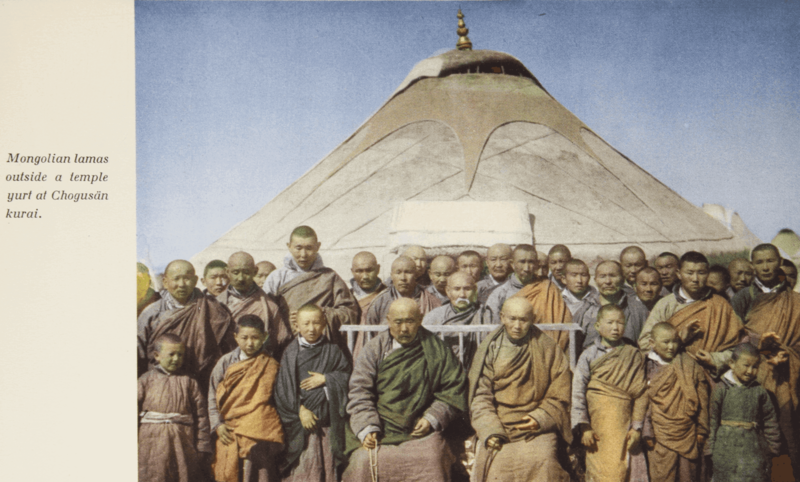 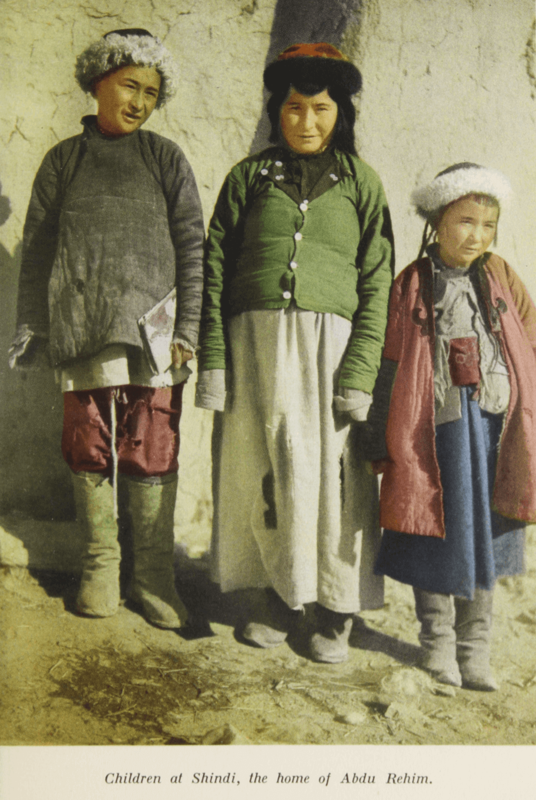 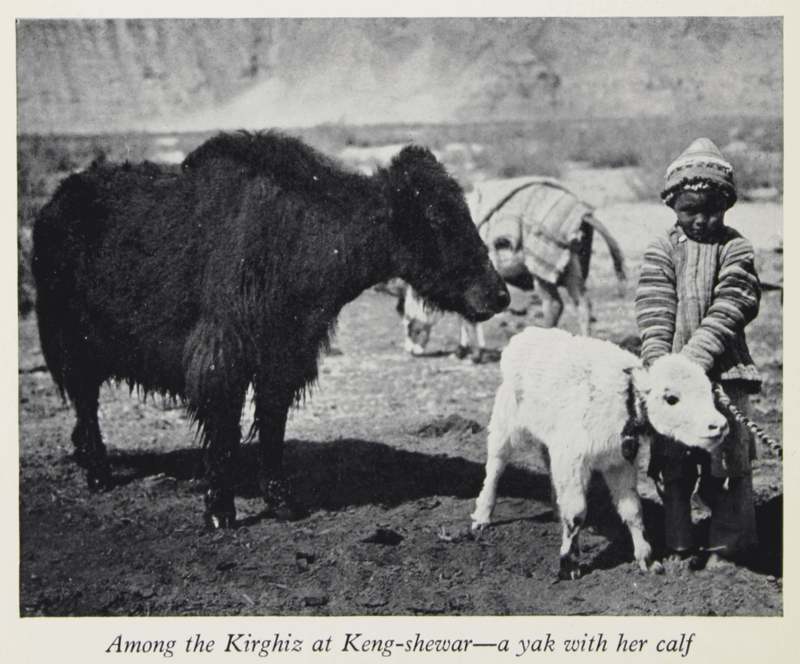 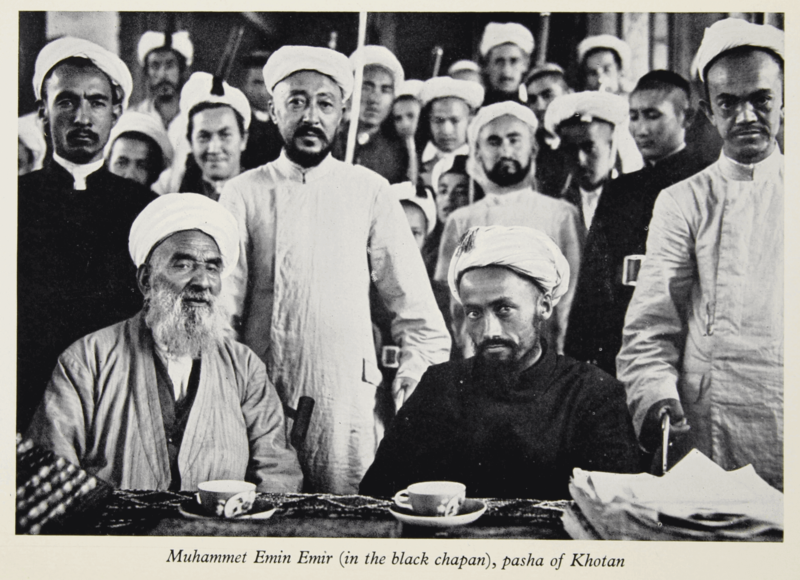 In Karavan: Travels in Eastern Turkestan, Nils Ambolt writes about a five-year scientific expedition to Chinese Turkestan, 1928–1933, led by the famous explorer Dr. Sven Hedin. 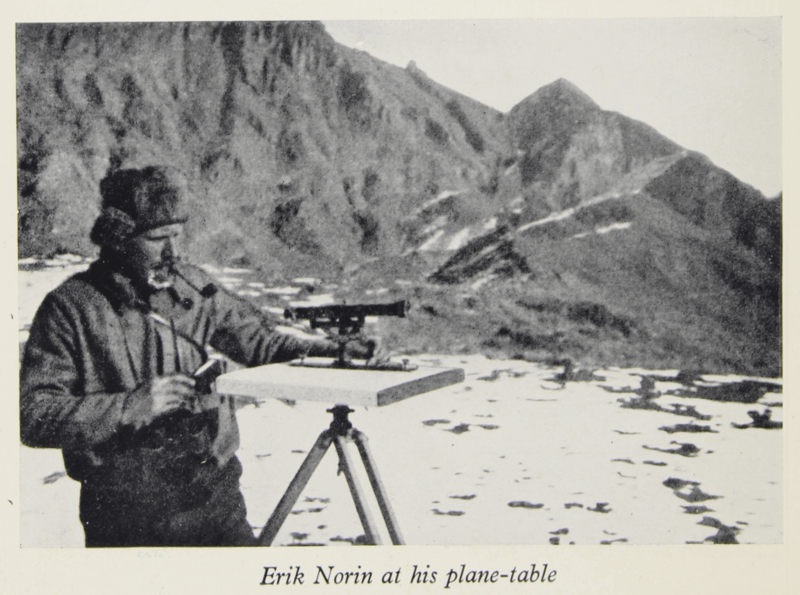 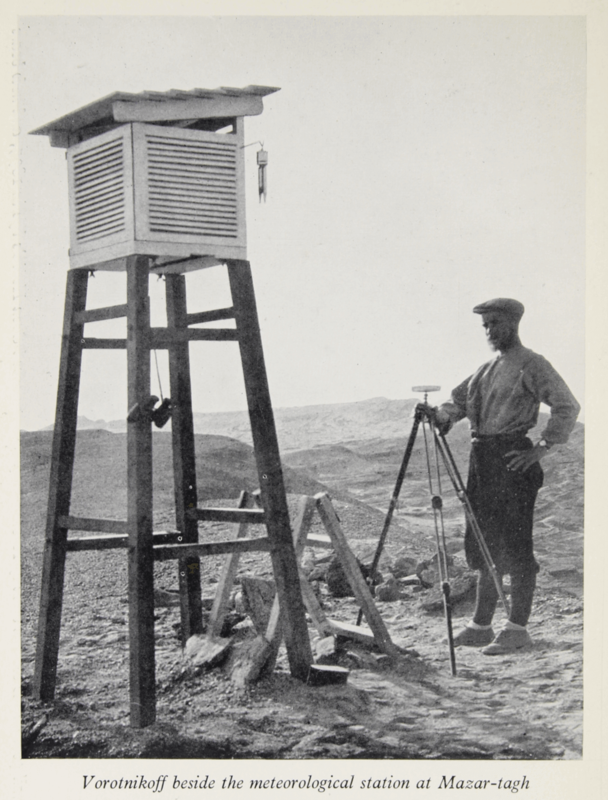 As an astronomer and geodesist Nils Ambolt traveled in the region together with the expedition’s chief geologist, Dr. Erik Norin carrying out field-work assignments such as pendulum observations and mappings. 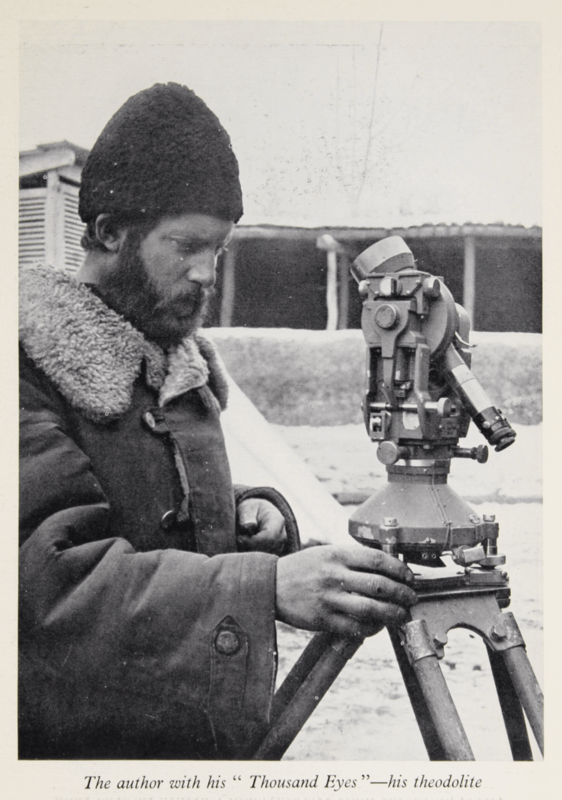 Throughout the volume one can find excerpts from Ambolt’s diary and photographs taken by himself and other members of the crew. 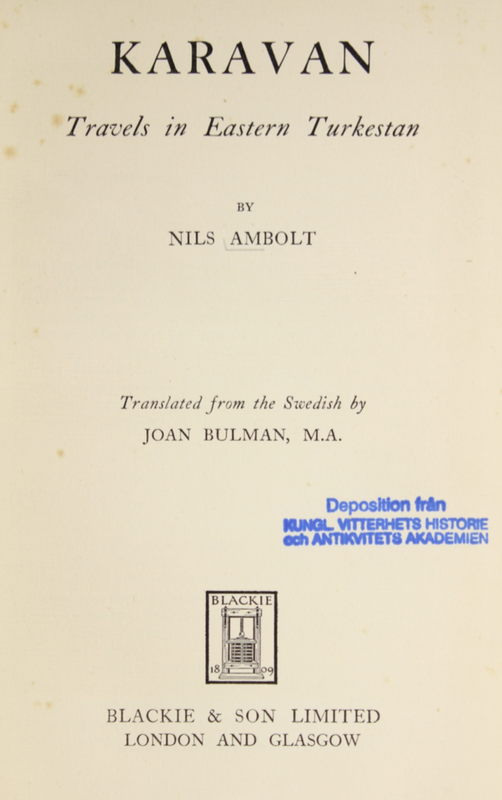 This volume was originally published in Swedish in 1935. 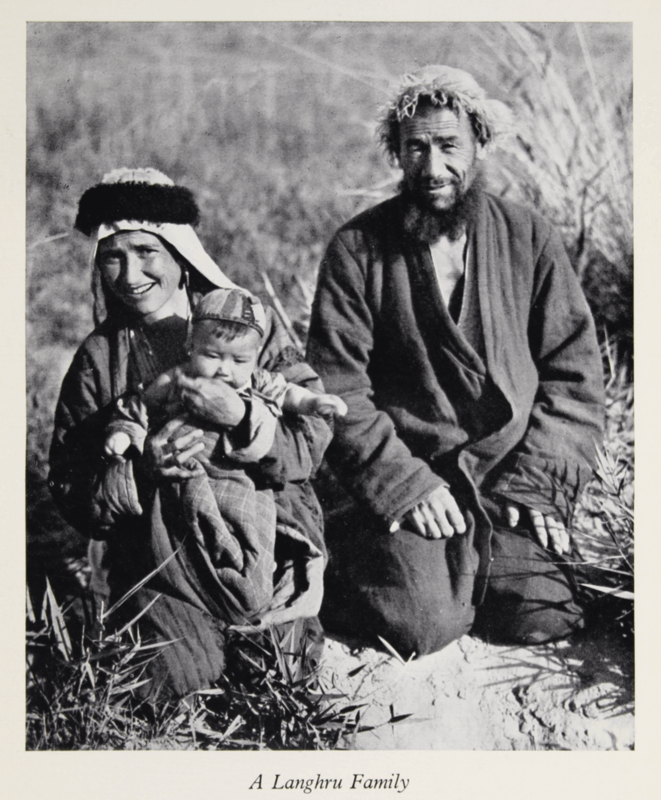 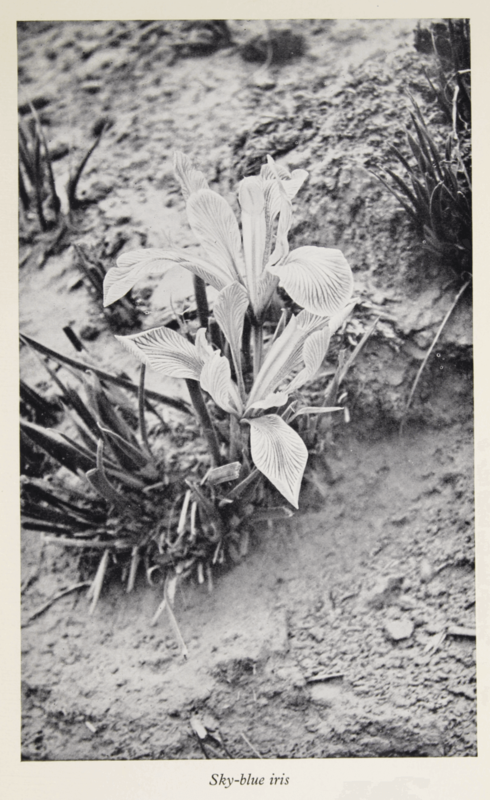 Four years later, in 1939, it was published in English with a foreword by Dr. Sven Hedin. 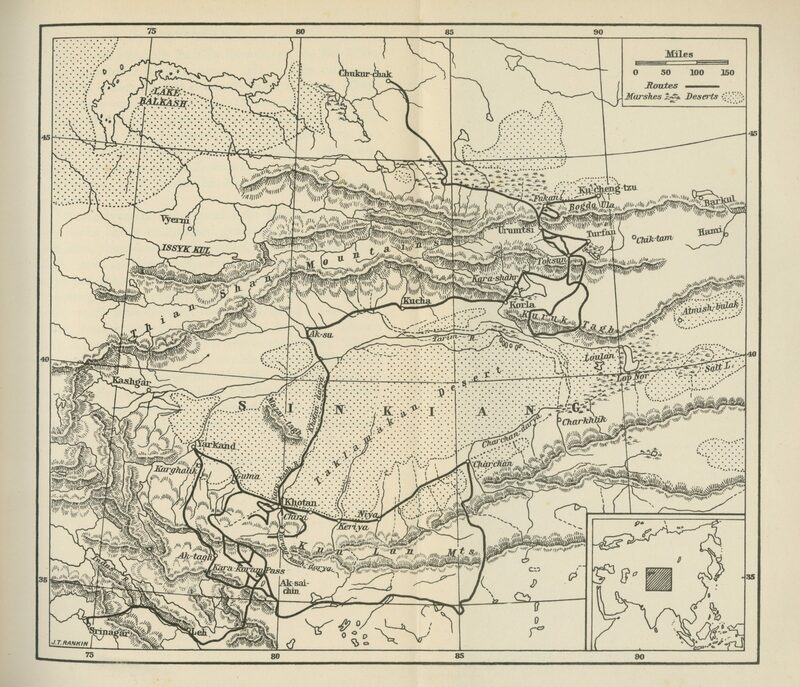 Conducting field-work in Chinese Turkestan was not a simple task. 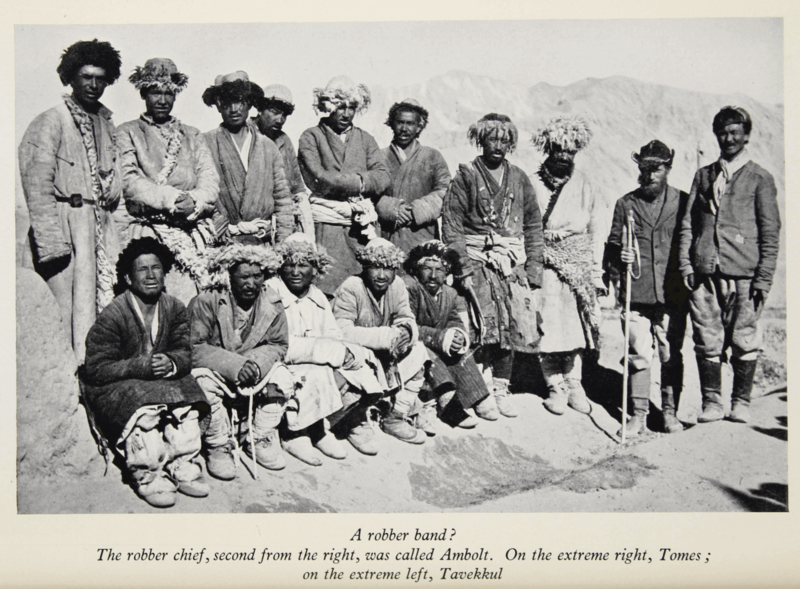 Permissions to travel to different places, to take measurements and even photographs had to be renewed regularly and very often the authorities found reasons for denying requests made by the members of the expedition. 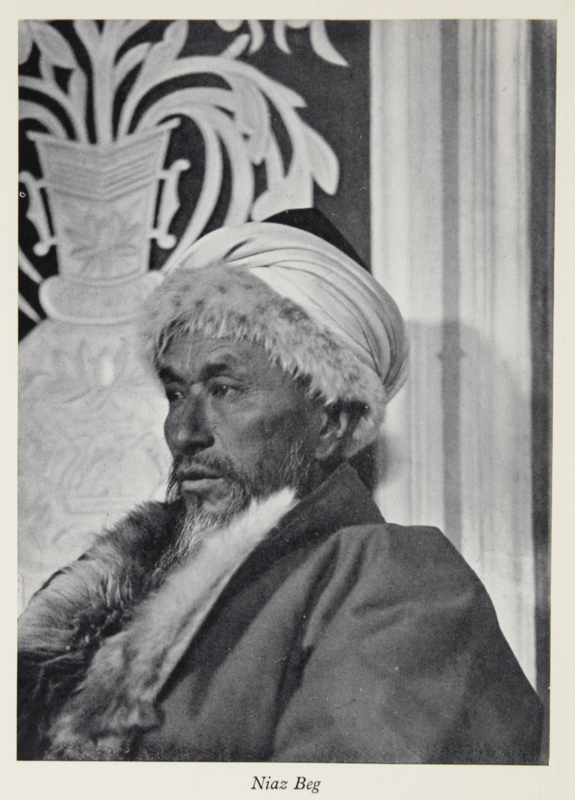 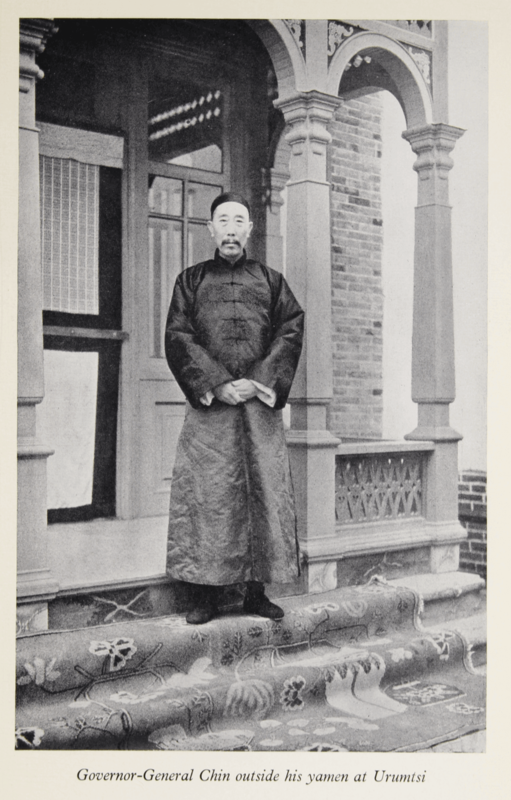 The author frequently describes difficulties imposed particularly by the Governor-General of Sinkiang, Chin: “Who was to believe that our interest was purely scientific, without any political side-issues at all?” (p. 66) However diplomatic issues were often resolved with the help of the head of the expedition, Sven Hedin, whom most authorities knew and respected. 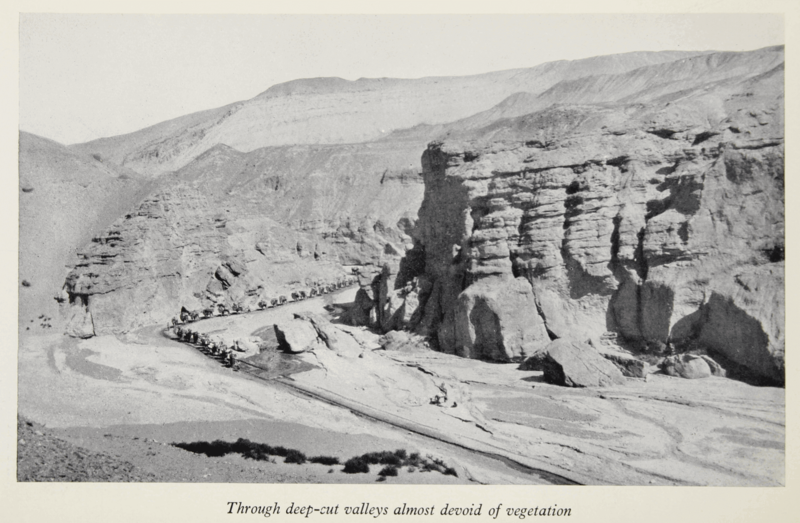 The author gives a brief account of the discoveries made by Sven Hedin at the Lop Nor lake, during his years as the student of the German geographer and philologist Ferdinand von Richthofen. 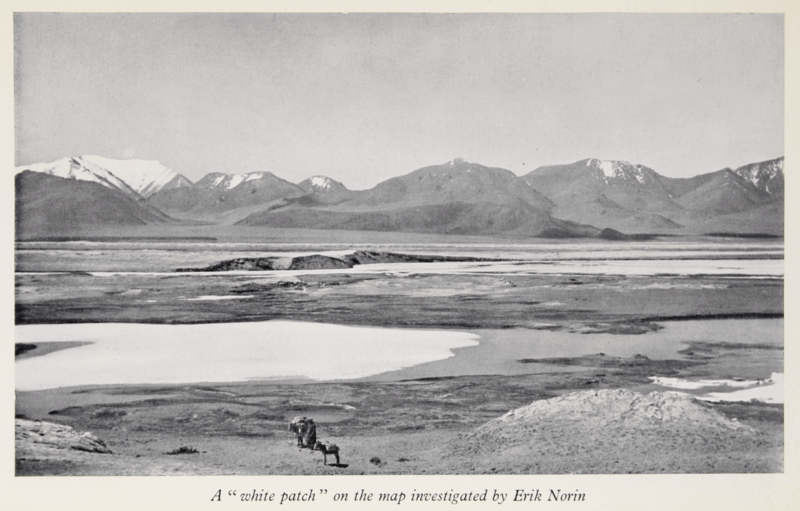 Shiftings of Lop Nor had puzzled geographers for years: “Maps prepared at considerable intervals of time have shown it at widely different places.” After carefully studying the area and taking measures of the river beds, Sven Hedin could prove that the lake had changed positions and, furthermore, he could calculate when the phenomenon would repeat itself. 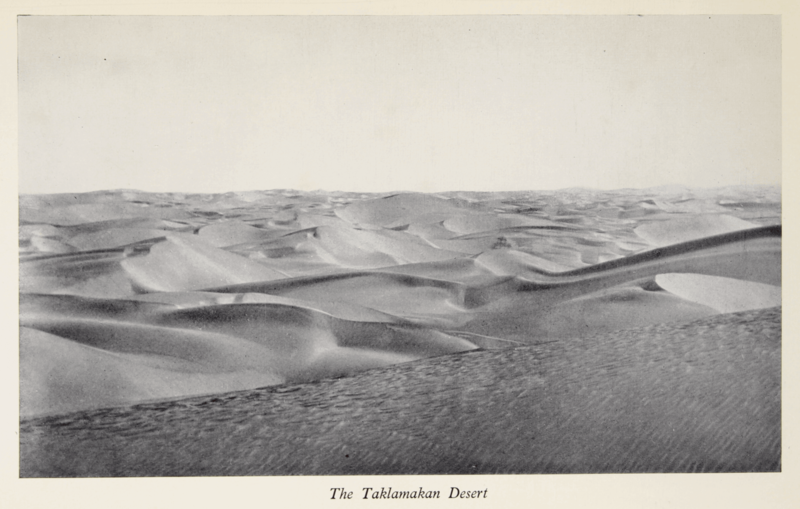 Ambolt’s caravan travels through the desert from Ak-su to Khotan. 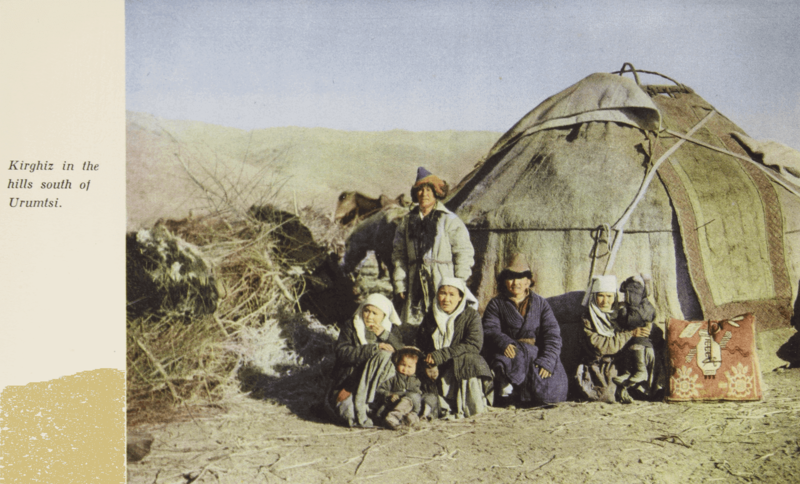 In Yarkand the author meets several of the Swedish Missionaries, who help him in his preparations for a journey to northern Tibet. 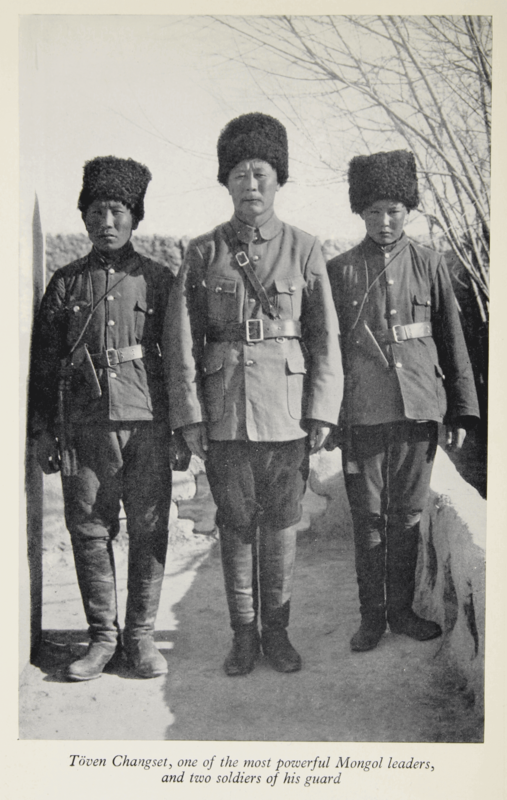 In February 1933, the Muslim revolution breaks out in Chinese Turkestan: “The Tungans had raised the standard of revolt, and the Turkis had made common cause with them.” (p. 158) Ambolt is at the town of Charchan where rumors are running wild and people are worried about what may come. 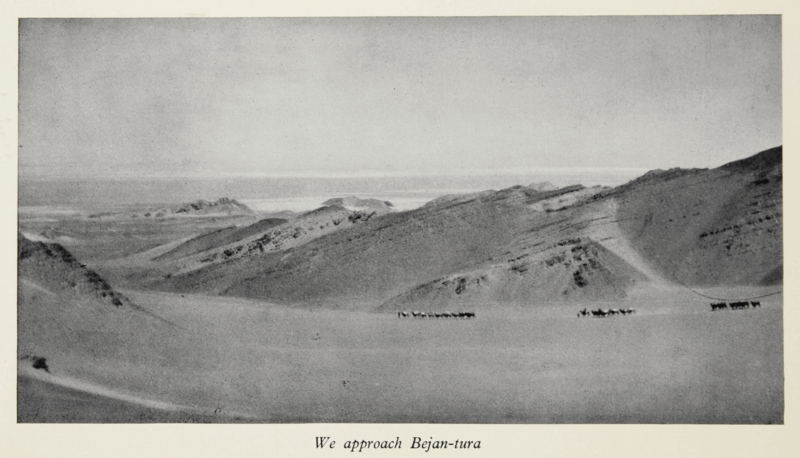 Eventually troops arrive in Charchan and Ambolt fears that he might even get executed. 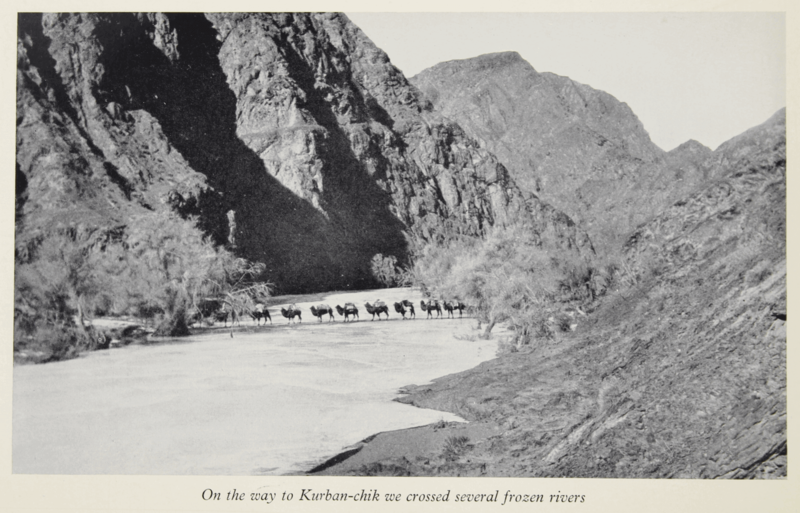 However, things take another turn and Ambolt gets a permission to travel from Charchan to Khotan, which is the only road that the new authorities have left open. 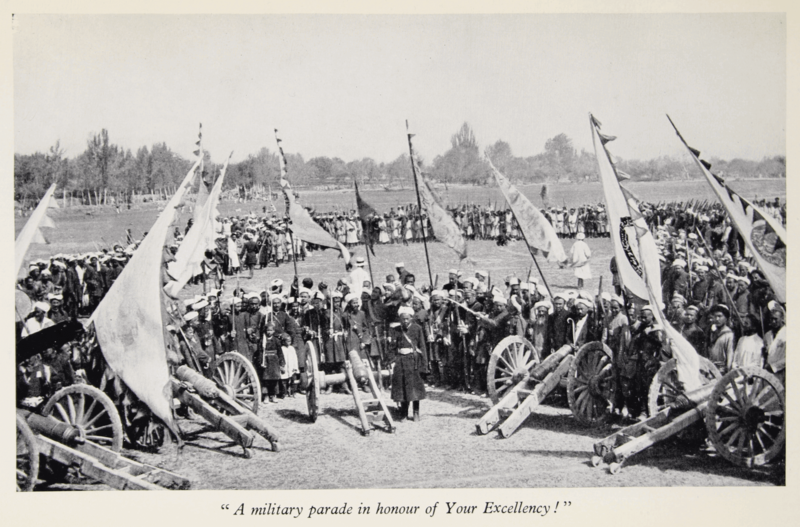 On the very same occasion, the author receives a military parade in his honor: “Half an hour later I, the student from Lund, was standing on Khotan drill-ground saluting the troops as they marched past. 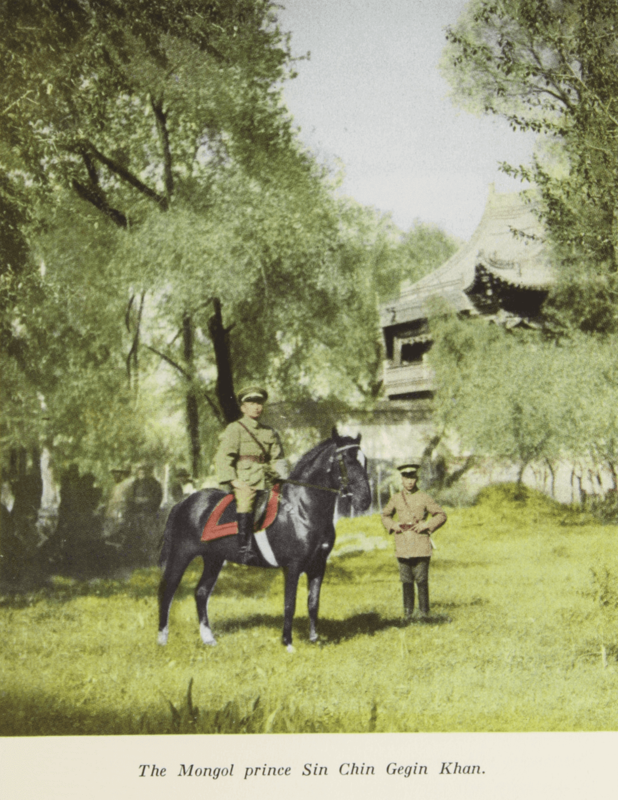 Frantically recalling our own rigorous drills at Revingehed and Axvall, I assumed a dignified military bearing and stood stiffly to attention.” (p. 175) A photograph from the parade can be found next to p.176. 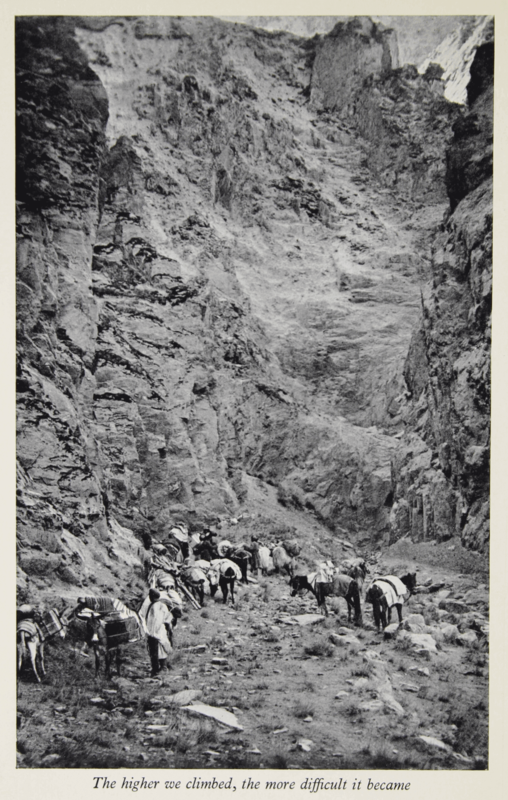 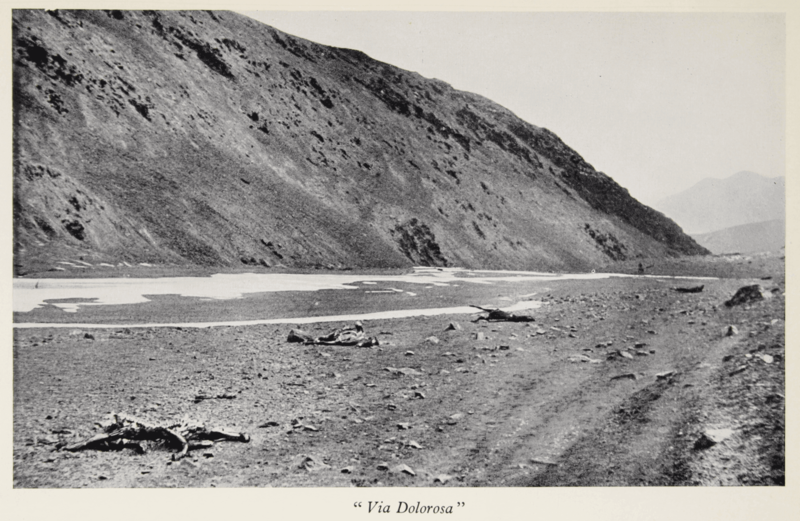 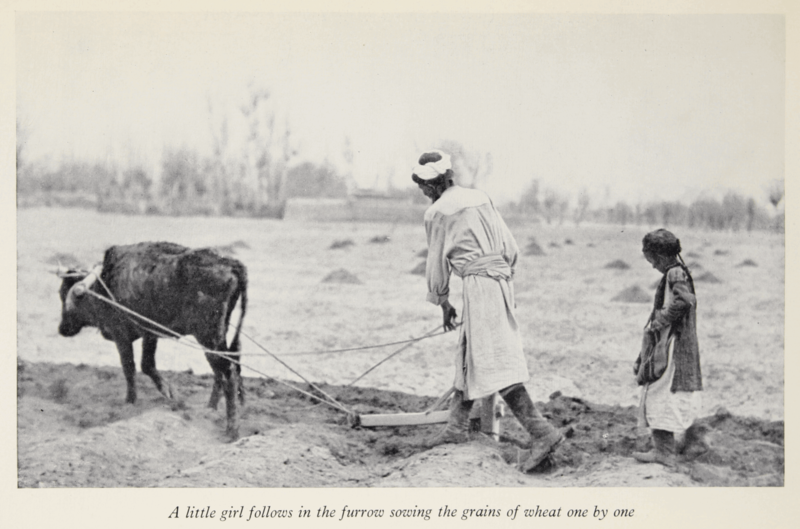 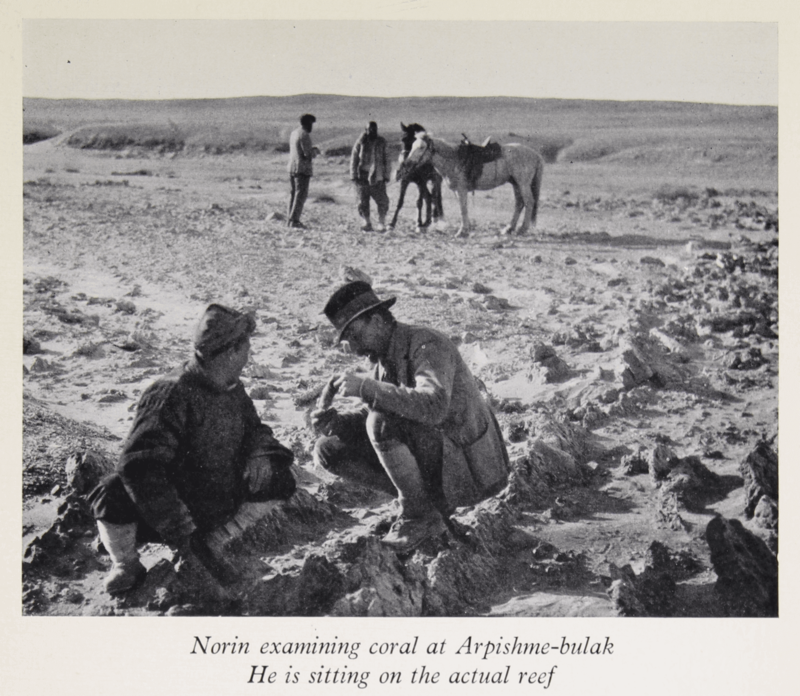 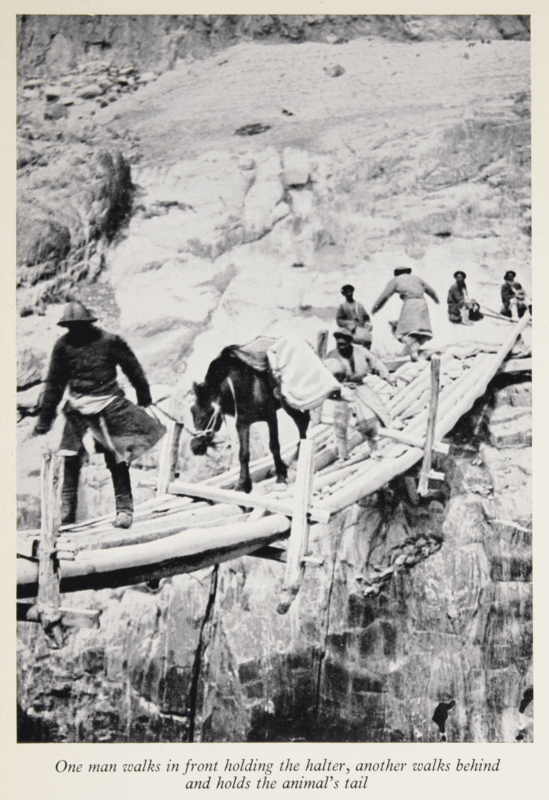 For a scientific account of the same expedition from an archaeologist’s point of view, read Travels and Archaeological Field-Work in Mongolia and Sinkiang: A Diary of the Years 1927-1934 (1945) by Folke Bergman.